Staying organized during the packing and moving process can feel almost impossible. If anybody understands how many details go into this giant project, it would be the Metro Movers team. We are a family owned business and have helped neighbors and customers in Arizona move for over 30 years. That adds up to a lot of boxes packed and a lot of trucks loaded over the years, and we like to think we have learned a thing or two. That is why we have put together the ultimate packing checklist for you to reference as you wonder where to get started in the moving process. Boxes – You will need small boxes for heavy items, large boxes for lightweight items and medium boxes for everything in between. You can purchase clean, sturdy and affordable boxes to accommodate your needs from your moving company or from a local moving and packing supply store. Scissors and box cutters – Have scissors handy for cutting tape, labels, etc. Box cutters will also make the packing and unpacking process go a lot quicker, but use utmost precaution when using such sharp tools. Packing paper and bubble wrap – Newspaper can leave black ink stains, so it is better to purchase bubble wrap or plain white packing paper. 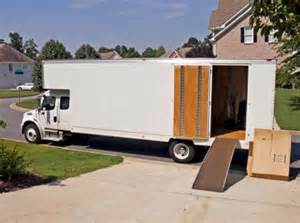 Your moving company should have a variety of packing supplies available at affordable prices. Labels – Labels should be durable and readable, and you will want to label at least two sides of each box. Markers and pens – Permanent markers will be used for labeling boxes (consider getting a variety of colors to help with organizing and color coding). Pens and notepaper are useful for making lists, jotting down notes or writing directions. Sealable plastic bags – Bags to seal and store small pieces, such as hardware, will be helpful as you start the packing process. Large Trash Bags – You’ll need them for clean up and taking out garbage after the move is done. Tape – Invest in some sturdy packing tape and an easy-to-use dispenser. Stretch wrap – If you hire a moving team, they should have this on hand. If not, you might want to purchase some to use for drawers, framed artwork, etc. Focus on one space at a time. – Try to avoid mixing contents from one room in boxes with belongings from another room. It will save time and confusion when you get to the unpacking phase. Use the number system for each room. – For example, all master bedroom items and boxes can be labelled “Room #1” with a corresponding sign by the door. Multipurpose. – Pack clothing in suitcases. This saves time, materials and space. Disassemble furniture, attach hardware in sealable plastic bag and attach to corresponding piece. – Keep things together and try not to lose pieces. Whether it’s you or a moving team doing to actual moving, this will help. Leave heavy, fragile and time-consuming items to the professionals. – Chances are, you have enough on your plate. Metro Movers has a team of trustworthy, efficient movers that can help you get the job done quickly and can help rid your life of some stress. Never pack flammable, combustible or chemical substances. Towels and linens Entertainment center Hair dryer, electric shaver, etc.